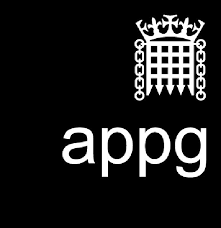 The All Party Parliamentary Group on Disability, for which Disability Rights UK provides the secretariat, invites written submissions addressing the following questions and themes to inform its inquiry into how the Government can fulfil its pledge to halve the disability employment gap. What does an effective and inclusive business network look like? To what extent do disabled people participate in business networks? How can disabled people be supported to participate, exchange their skills and support one another to work or start businesses? What external support is required to facilitate this? Proportionately, more disabled people than non-disabled people are self-employed. What are the reasons for this? How do self-employment outcomes for disabled people compare with those for non-disabled people? What businesses have they started? Which ones are growing and why? What further support would make a difference to their viability and the disabled person’s quality of life? To what extent do disabled people benefit from research and development grants, including for assistive technology to facilitate work? Are applicants and recipients monitored by disability status? What is the experience of disabled people in applying for and using these grants? What is the scope for ethical and responsible procurement policies to create jobs for disabled people? What are the future growth sectors of the economy? What is the relative distribution of disabled employees in these sectors? What tailored policies would be required to increase disabled people’s employment in these sectors? Which workplace policies and practices (for example targeted recruitment, flexible working arrangements, specialist union representation) support successful employment for disabled people? Please submit written responses electronically to APPGinquiry@disabilityrightsuk.org by July 4th 2016.